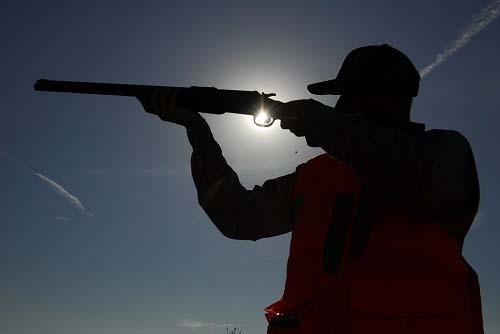 PHOENIX – Arizona dove hunters will be able to double their wing-shooting pleasure when the state’s “second” season begins Friday, Nov. 24. Unlike the 15-day season that begins Sept. 1, the late season lasts 45 days and runs through Jan. 7, 2018. There still is a 15-bird daily bag limit, all of which must be mourning doves. The possession limit remains 45 mourning doves after opening day, of which no more than 15 may be taken in any one day. As always, there is an unlimited daily bag and possession limit for the invasive Eurasian collared-dove. A license for youth hunters ages 10 to 17 is only $5. Children 9 and under do not need a license when accompanied by a licensed adult (two children per adult). Licenses can be purchased from any license dealer, regional department office or online at https://license.azgfd.gov/home.xhtml. NOTE: All department offices will be closed Thursday, Nov. 23, in observance of Thanksgiving. All offices will reopen 8 a.m. Friday, Nov. 24. Hunters 18 and older must purchase an Arizona migratory bird stamp for $5 from any license dealer, regional department office or online at https://license.azgfd.gov/home.xhtml. Shooting hours are 30 minutes before legal sunrise until legal sunset. On opening day in the Phoenix area, legal sunrise will be 7:08 a.m. Figure up to nine minutes earlier for eastern areas and nine minutes later for western areas.